In a world dominated by mega brewers like Anheuser-Busch/InBev and MillerCoors, the idea of beer tourism may seem a bit laughable. But craft beer makers, who brew traditionally and produce less than 2 million barrels a year, are attracting a growing audience. There are almost 2000 breweries in the U.S. and most of them are craft brewers or brewpubs happy to open their doors to the public to share their love of beer. 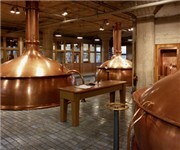 The main Coors Brewery tour is located at their Golden Colorado plant. 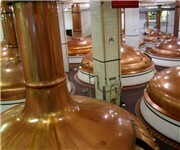 Coors Brewing produces more than 24 million barrels of beer each year. This 40-minute walking tour of the plant gives visitors a close-up look at the process, including malting, brewing and packaging. The tour ends with a short tasting session in the Coors hospitality room, where guests can sip limited servings of Coors products and a few of the company's craft-style brews, like the Belgian-style Blue Moon. 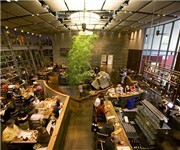 For more information see the listing for Coors Brewing Company in Golden, CO. The Anheuser-Busch Brewery tour in St. Louis, Missouri will guide you through a blend of rich brewing heritage, state-of-the-art technology and extraordinary architecture. Visit the historic Budweiser Clydesdale Stable, Beechwood Lager Cellars, historic Brew House and Bevo Packaging Facility. If you are 21 years of age or older, sample Anheuser -usch's beers in the Hospitality Room. Choose from a variety of brews including our seasonal brands and new products. The St. Louis Tour Center also hosts a number of exciting events throughout the year. Also be sure to check out the Anheuser-Busch Brewery Museum. The Miller Brewing Company was established in 1855 and helped distinguish Milwaukee as the beer capital of the United States. Today, Miller is the world's third-largest brewery and produces such popular libations as Miller, Miller Lite, Miller Genuine Draft and Milwaukee's Best. To appreciate this hops heaven, start at the tour center for a 15-minute theater presentation, followed by stops at the brewery's commodious shipping and packaging area, brew house and historic cave museum. During the summer, half-hourly tours accommodate the crowds anxious to observe first-hand the intricate process of beer production. After the tour, sit down in the Bavarian-style Miller Inn or the seasonal outdoor beer garden and sample a hard-earned brew.